Home » Christmas means shopping! 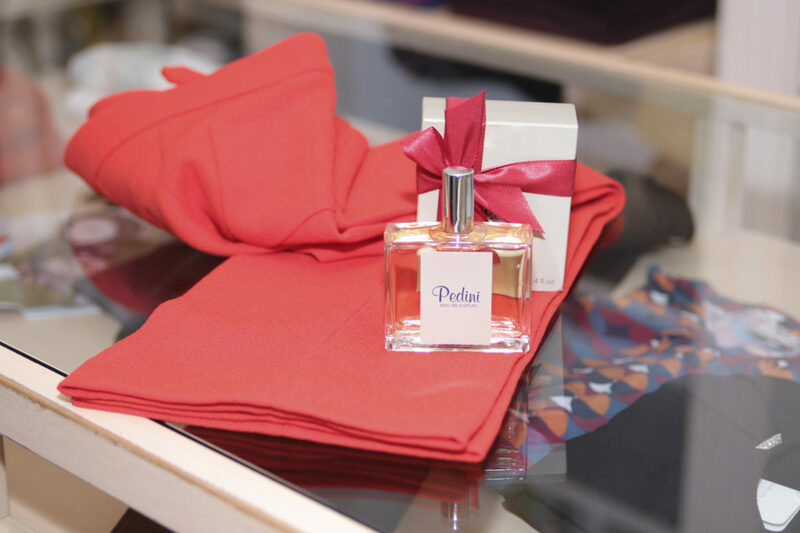 The scent of Christmas in the air, your head full of festive thoughts! 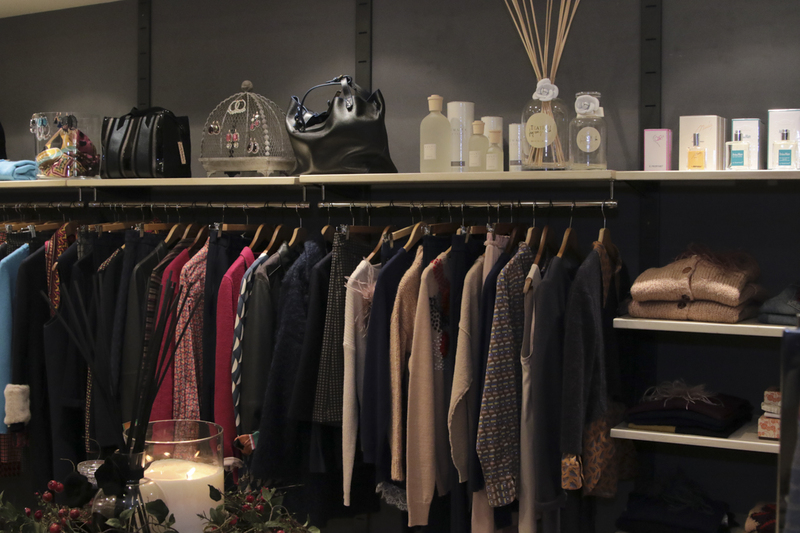 That is the ideal mood for a shopping spree, in search of the right look for the holiday season. 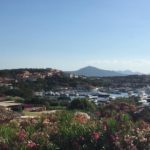 I picked a few shops just outside the city center, easily reachable by car and with parking space, close to some lovely cafés where you can grab a quick lunch or have afternoon tea. I have the classic red Christmas look: red-and-blue check pants and red jacket by True Tradition, and a red Mauro Grifoni sweater, which I bought at Pedini Viale della Repubblica. 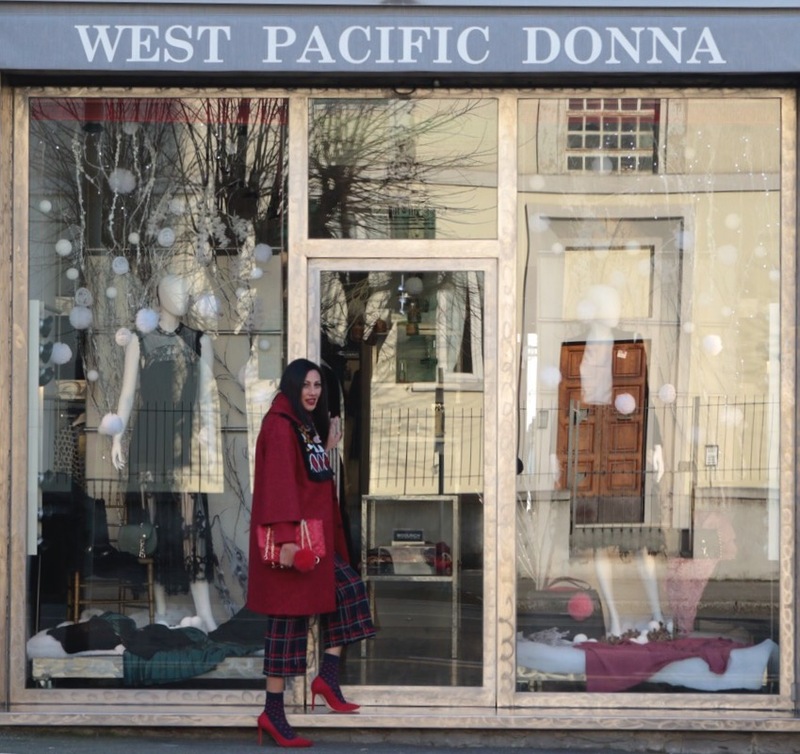 The red coat with ethno-chic details is by Stella Jean, and I got my red pumps at Diva Shoes. One of the city’s chicest and most elegant shops, opposite the Pecci Center, the newly-renovated contemporary art museum. 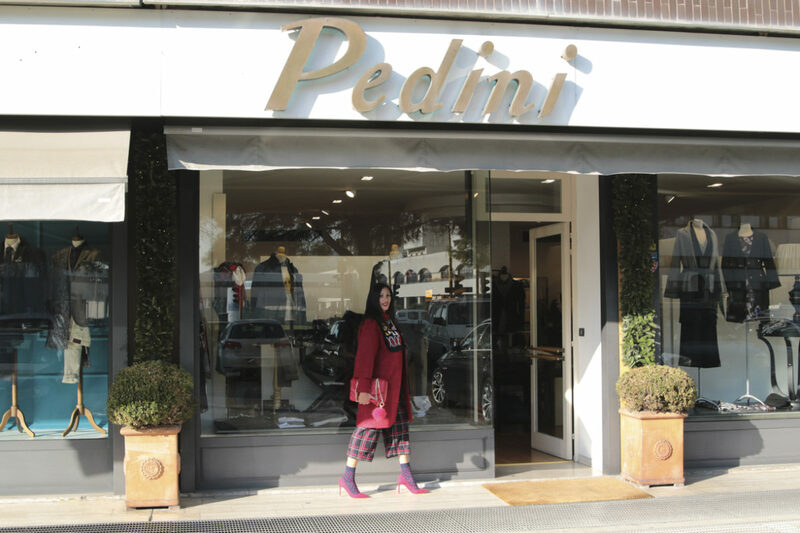 The owner of the shop, Fabrizio Pedini, chooses both the menswear and womenswear collections, with a preference for sophisticated and offbeat brands. Highly personal, metropolitan-style and differing-from-the-usual fashion. 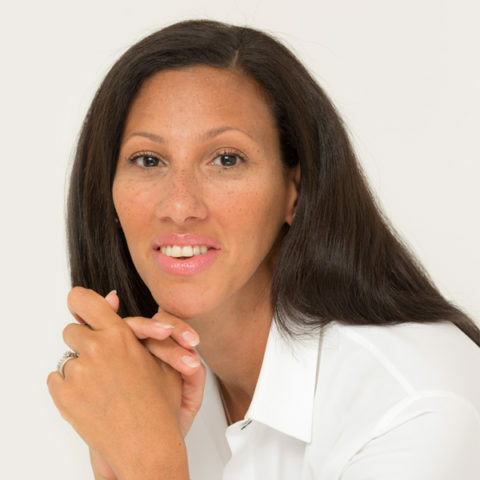 I picked a bright plum-colored Lurex jacket by True Tradition, to be paired with a black sheath dress. And a beautiful coral-red dress by L’Autrechose and a True Tradition jacket. I couldn’t resist the temptation to shop for my husband as well: the top-quality fabrics, the contemporary cuts, the beautiful patterns and the colors are the best you can find when it comes to made-in-Italy menswear. The brands? Boglioli, Brando, Tagliatore, Altea, Barba. 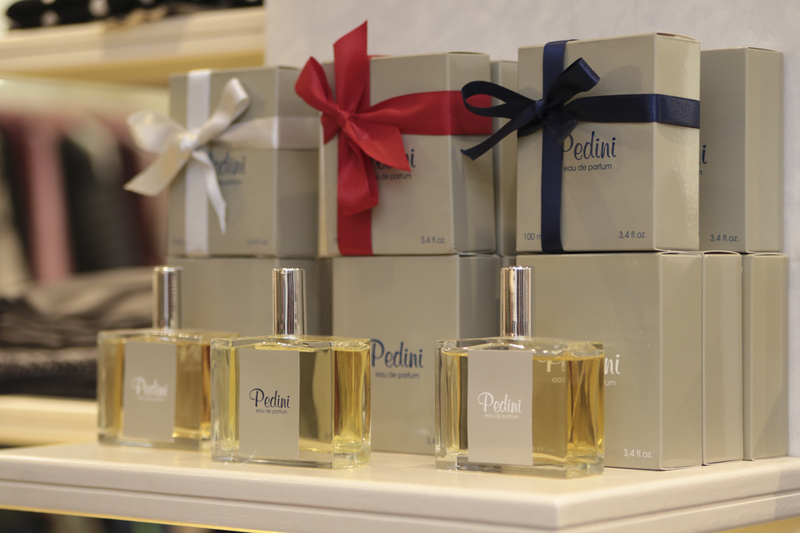 An idea for a special gift: the artisan-made perfume by Pedini, born out of Fabrizio’s passion for perfume-making with the collaboration of an experienced nose. Available in two versions. 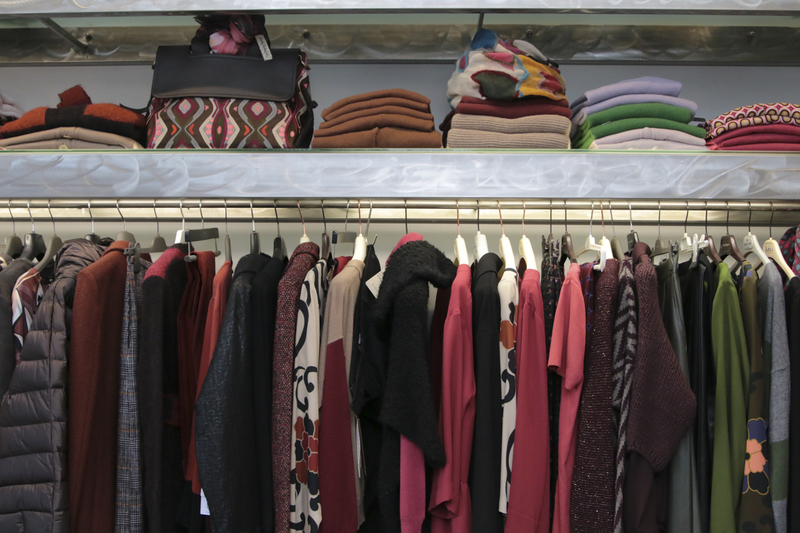 Located on Via Machiavelli, in the city’s residential area between the hills and the old town center, this store is the female version of Massimo Piccioli’s historic menswear shop across the street. Same style but different feel: colorful and sparkling women’s clothing, WASP-style, classic and casual outfits alongside fun and unusual pieces. It is called “mix & match”, the ongoing game of fashion,which requires combining trendy garments with pieces designed to last more than one season. This is the strength of Elena and Antonella, who know the basic rules of fashion pairing that goes beyond seasonal trends. That is why I love this shop: an elegant and self-confident style that makes you feel comfortable all day long, perhaps by wearing a simple yet sophisticated dress by New York Industries, a bright red Woolrich jacket, or a two-piece suit with emerald-green pleated skirt by Maraislise and a New York Industries jacket, made of the finest fabric and exquisitely cut. 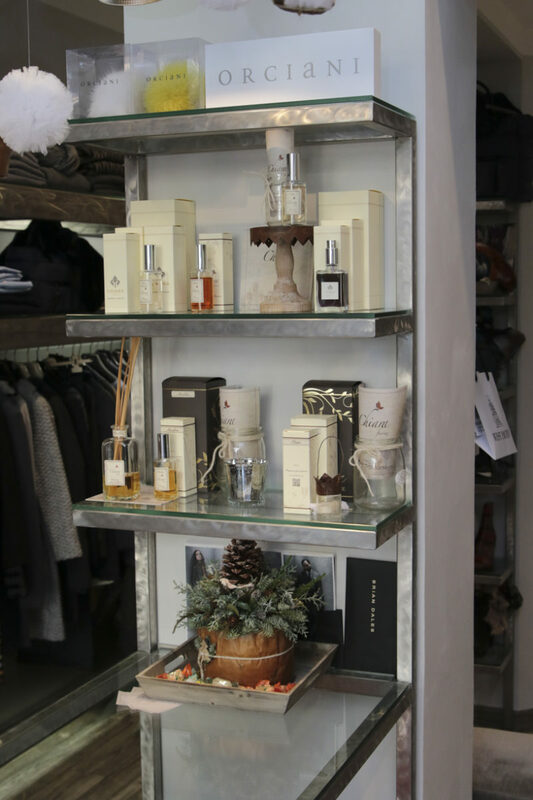 In addition, a small selection of Chiara, Firenze perfumes. Rose Noir, on Via dei Ciliani, is an unexpected treasure box: perfumes, costume jewelry, accessories and a beautiful selection of clothing. There is such a fun and colorful assortment of items that you can get lost in the shop for what seems like hours, though guided by Tina, the driving force behind the store. Mostly made-in-Italy brands, with a slight French twist and some small, very stylish names, including Suoli, Alysi, Merci, Tela, Aniye By, Pink Memories. The costume jewelry is designed by Not for All. Special home fragrances and Teatro Fragranze perfumes. For Christmas 2016, I treated myself to a new Maliparmi coat, red of course, with white fur cuffs. And for the more casual moments, a beautiful Bazar de Luxe parka, lined with real fur. And what about shoes? A magnificent obsession! 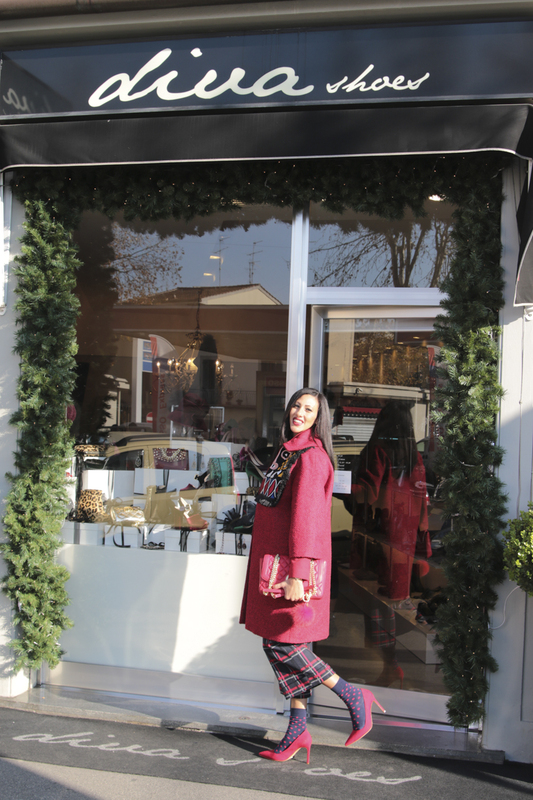 Diva Shoes, a small and bright shop along Viale Montegrappa makes you wish you could have them all. Skyscraping sandals, lovely pumps in uncommon colors like the cherry red and dark green ones by L’Arianna, over-the-knee stiletto boots and Beatle boots, lace-ups and ballerina flats. Diva’s specialty are sandals, super glitter like those by Tipe& Tacchi or What For. Handmade artisan shoes, but also well-known brands such as Duccio Del Duca and Paola D’Arcano. For a touch of eccentricity, Lola Cruz and Pura Lopez. Keily and Giulia, as passionate as their customers when it comes to shoes, were extraordinarily helpful in assisting me with my latest hunt for the perfect accessory to complete my look.